Robert’s latest book. You can unlock your potential to create success in every aspect of your life. One person succeeds at every thing they do, while another continually fails. Which do you want to be? Check out the book library in our store. Whether its a corporate, college, military or youth function, Robert delivers the humor, the information, the feel good response, that will empower each and every audience to go out and achieve their desired success. Speaking topics can include one of his books or defining-setting-reaching goals or his 12 Step leadership program. When the occasion allows, I like to do a different walkon. 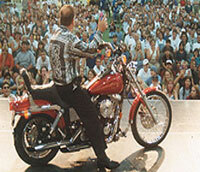 In this case it was a ride on, with my Harley to start the show. Check out our entertainer section with videos, testimonials and client base. The shows are clean, fast and always appropriate for the audience. 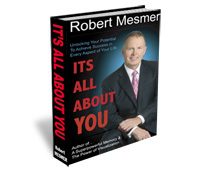 Robert Mesmer has presented at several of our B.C, Gymnastic Championships. The staff loved him and the gymnasts were not only entertained but walked away with greater confidence, in themselves and their sport.